1. The feature I really want to change in my character (but sadly I can’t) is that I am the easiest forgiving person in the world and sometimes this blurs my judgment of people. You can insult me or seriously hurt my feelings and the second you come to me and apologize I instantly forget all the bad things you might have said or done to me and I am your best friend again haha. It’s happened many times and even when I was really heartbroken I managed to find the good in people and fully forgive and forget. I am definitely one to hold grudges, which makes my life much happier. One thing though, that I am not brilliant at doing is me going to people and trying to fix our relationship. It’s just that I am too scared that they may reject me, which I know would hurt me a lot. 2. I almost never eat chocolate. I don't have sweet tooth and chocolate is the last thing in my apartment I'd reach for if I crave some snack. The only version of chocolate I can eat and actually enjoy is dark chocolate with Sea Salt or Wasabi in it. Weird taste I have, some say hmmm… :) At times when my blood sugar is running low and I physically need to add something sweeter in my system I always reach for Chocolate with Strawberry Yoghurt, it's actually rather yummy. 3. Speaking of food, you should know that I am a huge foodie and my favorite thing in the whole wide world is sushi. I can eat it day and night, every single day for the rest of my life haha. It is not only super healthy but it also tastes like heaven to me. My favorite type has to be California Roll sushi with salmon and avocado. YUM! On the not-so-healthy side of things, I am dying for Five Guys burgers. I love burgers and since I tried it in London last month I haven’t stopped craving it, it’s just too good! 5. The number 22 is haunting me… For real, and I am not even joking. It started two years ago and it is now everywhere - on clocks, car numbers - everywhere, all the time. I must be seeing it at least a hundred times a day. I was joking about it at first but now it started to creep me out a bit. 8. I have very eclectic taste in music. I love many different styles starting from Lane Del Rey and Bastille, going through Taylor Swift and ending with my beloved Hip-Hop and Drum and Bass performers such as Deadly Hunta, Swollen Members and Pendulum. 9. My biggest dream is to swim with dolphins! You literally have no idea how badly I want it. I've had several opportunities to do it so far, however, as I have a very specific list of requirements on how, when and where this needs to happen, and I still haven't done it lol. So here I am, still waiting for the perfect occasion but when it finally does happen prepare for a heavy picture overload on Instagram haha. 11. When I was 11th grade I was going through a very hard time in my life and I figured that I need a little change to hopefully make me feel better. So I went and pierced my belly button. 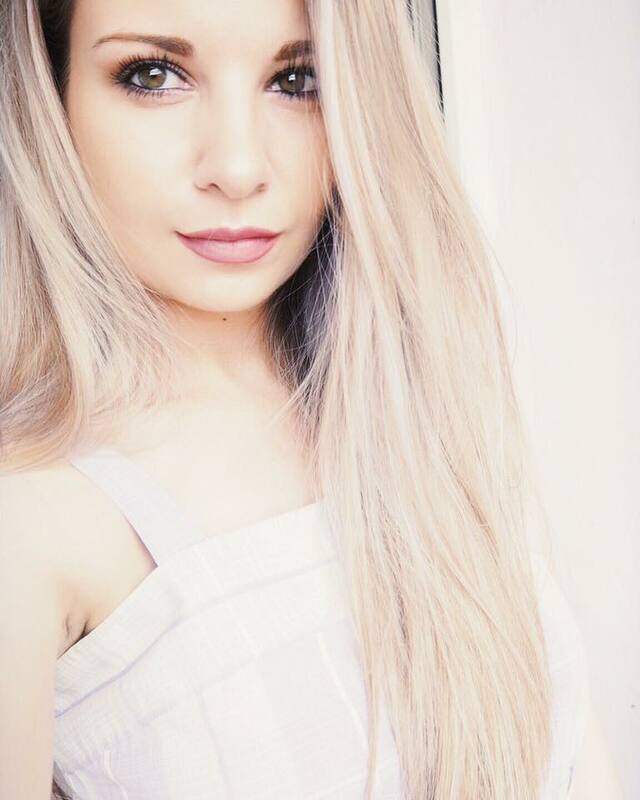 This wasn’t feeling quite enough though, so I decided to dye my pretty blond hair – dark. Unfortunately, the lady at the salon had very different idea of what brunette is, so I ended up with this crazy orange (not even proper ginger) hair, which resembled the lovely Garfield. Brilliant! 12. Speaking of hair mistakes, when I was 8th or 9th grade I decided that straightening my hair with a regular straitening iron takes way too much time so I was using a regular iron. Yes, that’s right – the one we use for ironing our clothes. I don’t know what was I thinking, but in two moths time my hair was so damaged and brittle that I needed to chop a huge amount off to make it look decent again. Do NOT do this, I beg you! 13. I love my lazy days when I don’t need to wear any makeup and can just lounge around the house with my Pjs on. I love being out and about with friends but occasionally I feel like I need to take a day off and just be on my own, doing all thing I love, gathering my thoughts and just chill a bit. Some people find this quite strange but I love it because I feel so much better and recharged afterwards. Do you have days like this? 14. When I was at school I was taking dancing lessons for about two years. I did Modern Ballet and I loved every bit of it! I loved the music, the moves, the people – all of it! I wasn’t the best at it though but I didn’t care as I had so much fun. This is the only sports activity I have ever stick to and didn’t leave after a week. I am definitely not a sporty person. 15. I love Christmas a lot! It is my absolutely favorite holiday in the world and I go a bit crazy every year with my festivity. It might be too early for you, but I have to admit that my Christmas mood is already on. When 1st December hits the calendar though, I am out of control. My favorite Christmas songs are on repeat, I decorate the whole apartment, I bake cookies, buy presents; you name it! :) I think my deep love for Christmas has to do a lot with the fact that I get to spend the holiday with my family and loved ones, which I cherish so much. Also, I feel like everyone is a little bit happier, kinder and full of hope, which I love seeing in people. <3 Now, how many sleeps till Christmas do we have? The first one is SO me - exactly how I would describe myself. I love food too - In the past I didn't like to try out new thing, but I love to do it now. Just to taste it is fun. I am dying to try Five Guys and In n' out!! Love burgers! Love travelling too - haven't travelled a lot but I need to see most of the world before I get too old! I went to Shanghai, China last year were I took a semester - and I am definitely going back! Love my lazy days too - aaaaaannnnd I FREAKING LOVE CHRISTMAS and I have been in Christmas mood for a month now! My mom already bought be a Rittersport Advent Calendar ;) hahah Yummy! Yup, yet another looong comment from moi! Loved this post! I'm obsessed with Christmas as well, I love everything about it! I'm so forgiving too! I hate it! I always forgive people, or i feel too shy to stand up to them :( gahh. wish i was more confident. I am completely Christmas obsessed too! Great post! 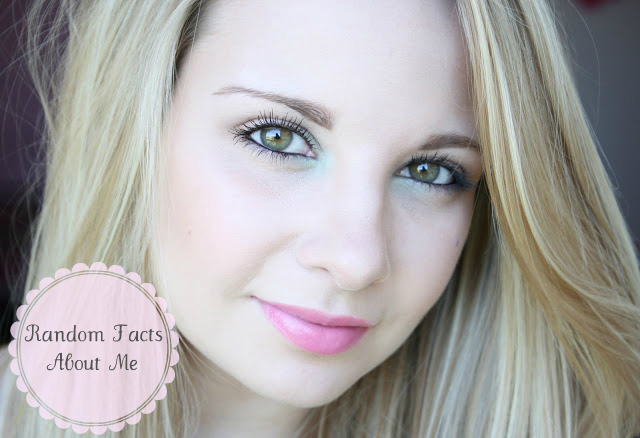 I just posted the 50 Random Facts About Me Tag! Stop in and check it out sometime! Hi Andrea I love these type off post as you get to know the blogger a little bit better. I wanted to be a FBI agent and work with Fox Mulder lol. Hi, can you do a post about how you used to straighten your hair? :))))) Can't wait for Christmas also! Kisses! Aww this is so nice :) I love these posts! I agree with you completely on #7. it's still on my wishlist lol! This was a really cute post! It was lovely to know more about you besides your love of makeup haha and learn that we have other things in common! And I definitely share your love of Christmas, it's my favorite time! I just wish we get more of a winter in Florida! Много интересни факти :)) По някои точки си приличаме. It's so nice to see something about you that goes beyond a beauty blogger, do you know what I mean? And yes, I can't wait for Christmas, because it also means birthday for me :D Not on the actual day but two days before, but I'm still super excited! It was awesome to get to know more about you! My best friend is terrified of flying and loves reading statistics on crashes LOL! I don't understand what the obsession is! Lol I laughed loud when I read you iron your hair with clothing irons!!!!! You are hilarious!! !